The processes of cleaning and recovery of the laundry are arranged according to a real "chain clean" that qualifies for the effectiveness and efficiency of each of its operating procedure. 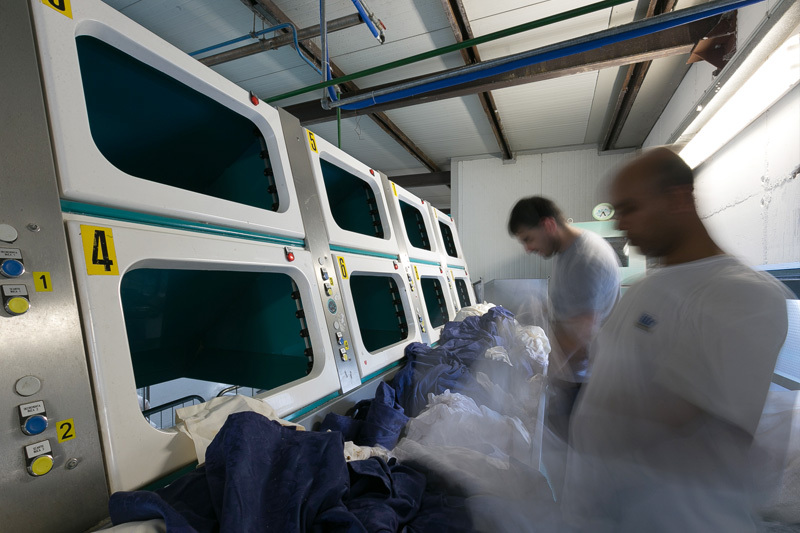 The linen withdrawn by customers is weighed and marked by drivers using computerized procedure; all the material is collected by client and stored in a suitable department, pending the department washing. LIS Laundry works customer by customer so everyone has the warranty to receive in every delivery the same linen both of property and for rent. 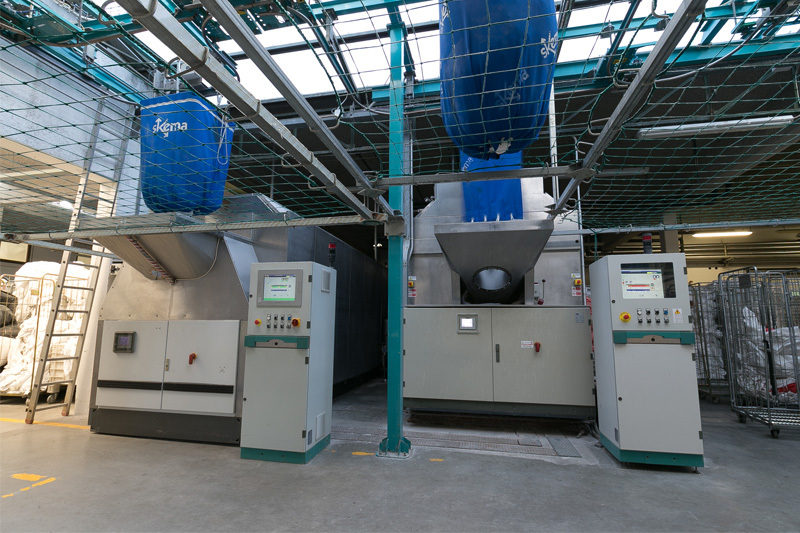 The continous washing machines, dryers and kilns are controlled by computer, this allows you to ensure proper management of the cycles of washing and drying. Thanks to the procedures related to the same and to the continuous training of staff, the company is able to keep the leaders in full compliance with the rules of hygiene. The washing programs are managed, monitored and updated by internal staff in collaboration with specialized engineers. The operator loads the bags of the system of accumulation and directing them to the air transport machine suitable code and specifying the suitable washing and the code of the customer. Our standard cleaning cycle removes dirt and stains and is valid for the removal of microbial contamination. 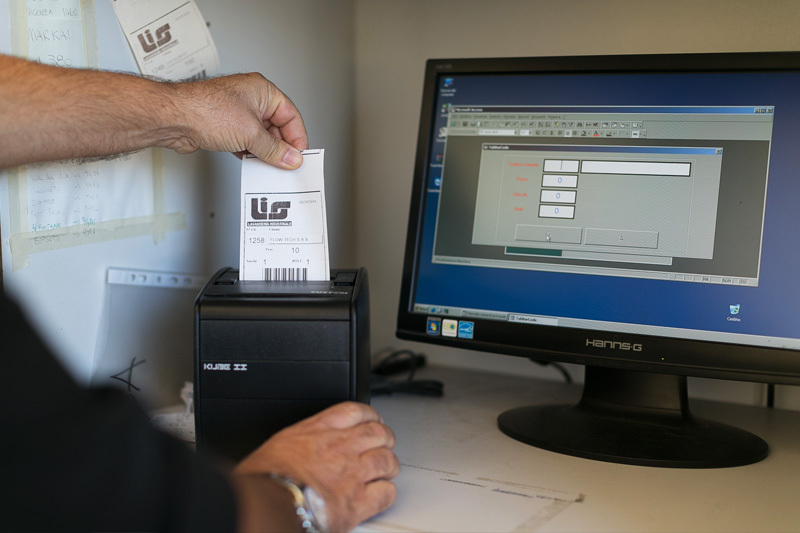 All dosages are constantly monitored by computerized systems and subjected to constant checks with chemical analyzes performed by our partner Ecolab Srl. Detergents used guarantee maximum respect for the environment and the most effective cleaning and disinfection.